Wiiii! Hi guys! I’m sorry for not updating this blog for so long. I was sick for two weeks and have abandoned all kind of works during that time. But I’m feeling great already so that I can roll in this blog again! Yeay! 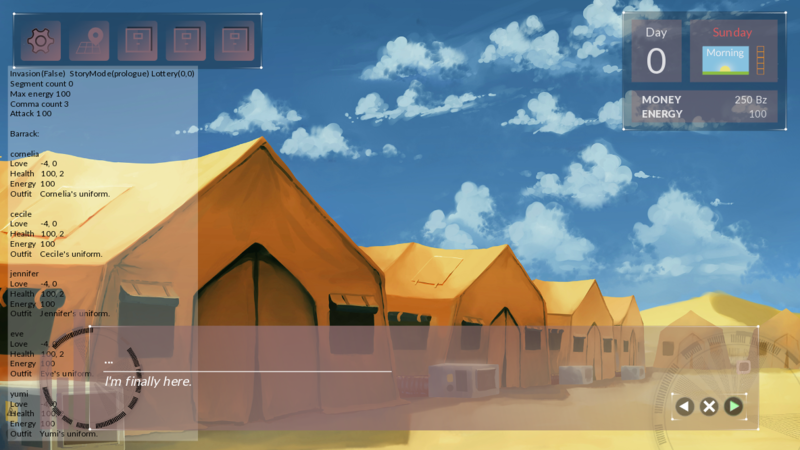 Because of my two weeks of absence, I was lost track on Just Deserts development progress. Also, I felt my works have been piling up ahaha. So I’m on the go, chasing the deadline. No, not just me, all of us in the team. After alpha testing, we decided to make some changes, implement some more features, stories, and illustrations. We’re making changes for some activities in the game. For example, there is one activity called change outfit. 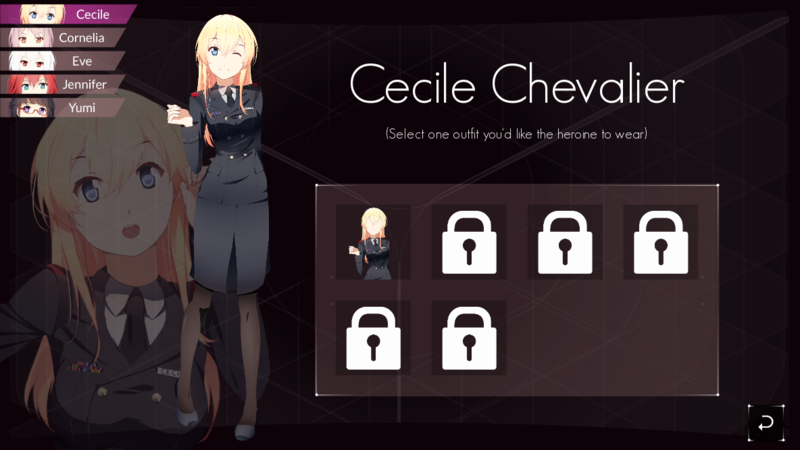 You can change the girl’s outfit. Uuuu~ sounds interesting, doesn’t it? What if the outfit is…. *daydreaming*. What do you see? What? I won’t reveal mine ahahaha! Heroine love status. 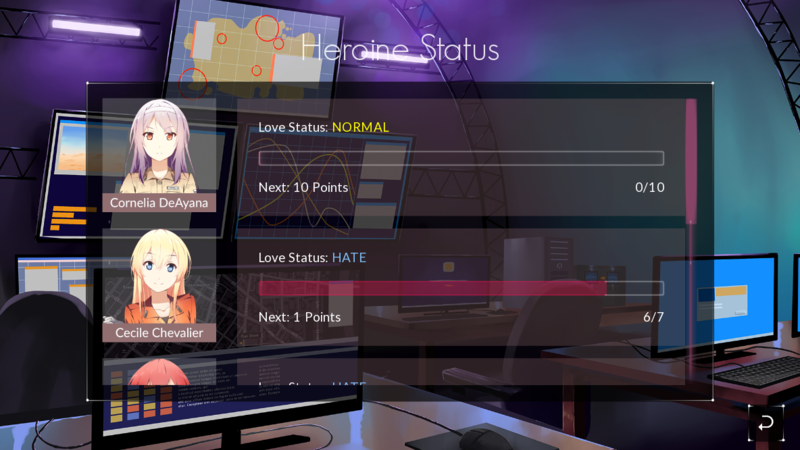 You can see how the girls feel about you and the points you need left to increase the level. Fight alien. You can battle with alien in the game. Of course, you can bring the girls to help you in the battle! Kyaaa I can’t wait to see this one to be finished! Gallery. You know this one. CG, outfits, stories that you have collected can be seen in the gallery. We want more CG for Just Deserts! 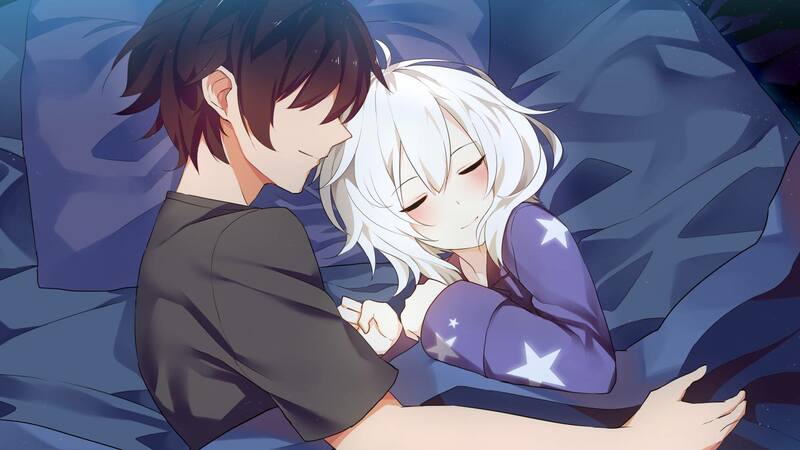 I can’t reveal the CG that you haven’t seen yet of course (⌒▽⌒). We’ll keep you curious. OH YEAH!!!! I was also shocked when I knew that there’s already news and publications for Just Deserts! Whereas Just Deserts is not published yet!! Here are the news that I have found so far: Some in English and some in Indonesian. I’m so thrilled but worried at the same time hehe. I’m kind of afraid of the expectations. But that makes us more spirited to grow and develop as best as we can! Well, all of these features could be changed as well in the future. Especially the UI. We want to give you more polished look. Wish us luck! Hehe. Keep being a wonderful person and have a wonderful day! 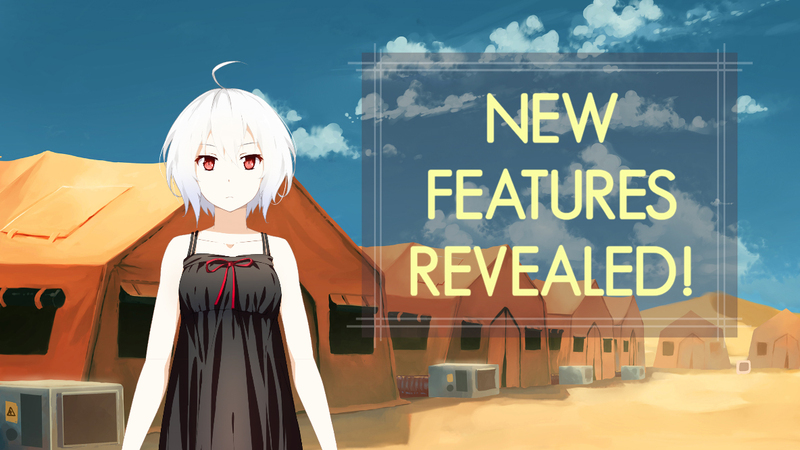 ← Announcement: Partnership With Sekai Project!!! !